This was a joy to color. 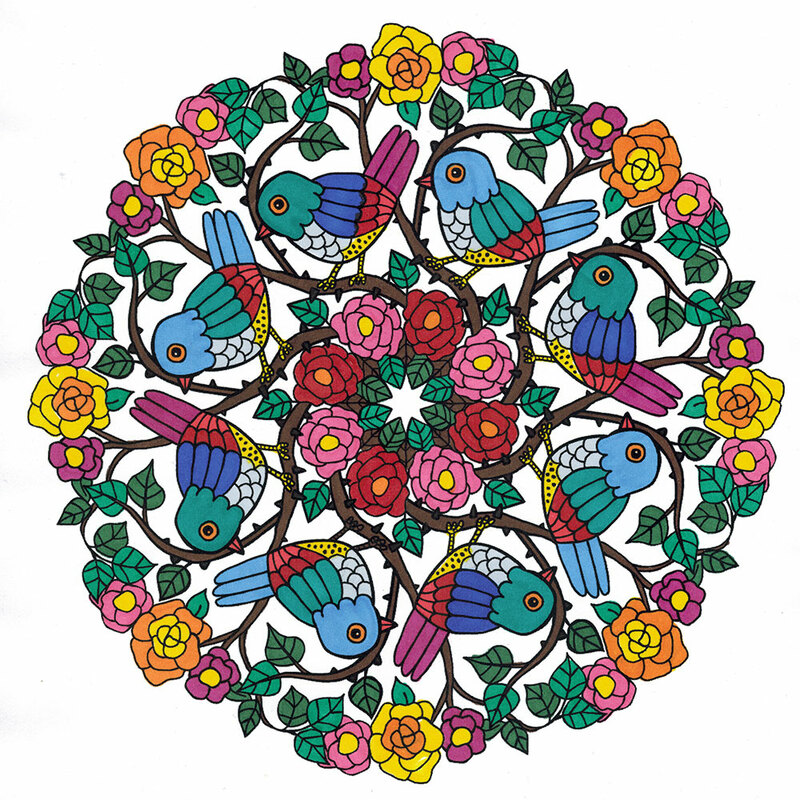 This is an original mandala hand-drawn and vectorized specifically for this site. :) Lately I've been enamoured with mono-chromatic coloring, but for this mandala, I wanted a varied splash of color. I varied the colors of the leaves, flowers, and birds while keeping some semblance of a pattern so it wasn't too chaotic. The thicker lines of this design made it pleasant and easy to color with the Prismacolor Premiere Markers I own, as coloring on regular print paper can sometimes be tricky because they bleed past where you're actually coloring. I'm very pleased with how this turned out, and I want to color it again!